The Internet is full of lithium batteries. But not all merchants (or manufacturers) are honest about what they sell. This is why I feel it’s necessary to warn you about fake lithium battery capacities. So you have a friend whose into vaping. Then you have another friend whose into flashlights. Both of them have something new they enjoy using, that needs weird looking batteries to make them run. While they have a right to be excited about their new product, and are eager to tell you how easy everything is to operate, they really have NO idea what they’ve invested in! To confuse matters, the products that just arrived in the mail, came without ANY documentation! No boxes, no instructions, nothing. Just the products themselves, padded in bubble-wrap. Although that statement might seem mean and uncalled for to someone born into our “politically correct” society, it has a rich history dating back to the mid 1800’s. Suffice it to say, the excited lithium-ion battery consumer, instead of conducting useful research such as reading related posts here at Lightsngear, will instead put all their trust into Amazon reviews. “In-depth” comments such as “works good”… “just as I expected” … “these are great batteries”… etc., were written by an equally inexperienced consumer who also failed to do prior research. Their new purchase is already showing signs of deterioration but they have no idea what those signs are! So here’s the issue. 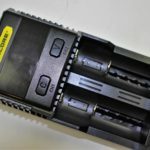 When it comes to lithium-ion batteries, and more specifically the popular 18650 size, Chinese manufacturers can put ANYTHING on the label that they think will help SELL their product. 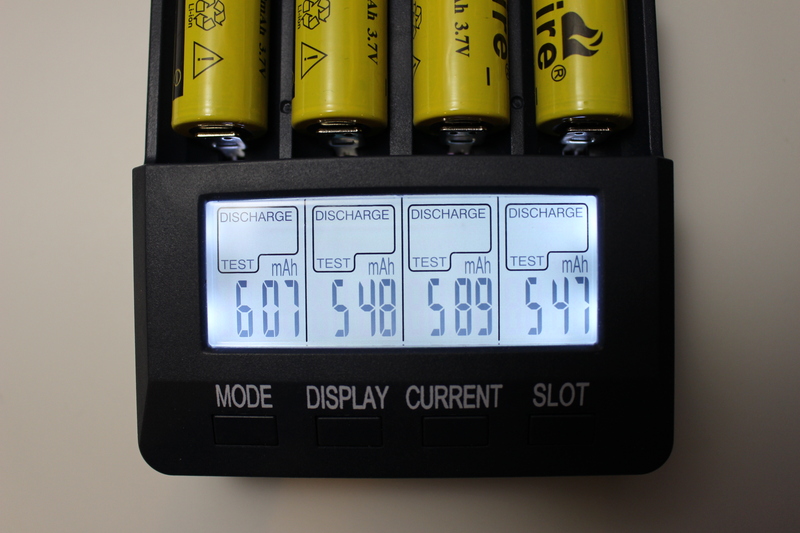 All lithium-ion cells have a rated capacity…measured in milliamp-hours (mAh). The higher the figure, the more power it can offer. Currently, 18650 batteries are not produced with more than 3600mAh. That is the current capacity limit. BUT…according to the makers and marketers of budget batteries, that’s NOT the limit! If they think putting 4000mAh on their label will help them sell more at a higher price, they’ll do it. But hey, why stop there? If exaggeration is the game… there’s no limit whatsoever! What this has now led to, are batteries claiming to have 5000mAh, and higher! Another popular lithium battery size, is the 14500. They mimic the look and size of a standard AA battery. But it’s their voltage of 3.7 that sets them apart. The top capacity of a 14500 battery, is typically around 750mAh. But these shrewd marketers assume if they put up to 1200mAh onto a 14500 label, that they’ll sell more of them. 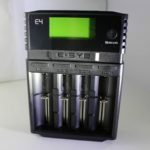 As I wrote about in a previous post on this subject, these budget batteries not only showcase inflated capacities, but are in fact often LESS THAN HALF of the stated capacity! 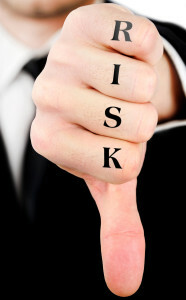 The marketers of these products prey on those suckers…er, consumers who they know haven’t done their research into what to be aware of when buying and using lithium batteries. Here’s an example. An 18650 battery with a “stated” capacity of 5000mAh, could very well have a TRUE capacity of 1800mAh! Here’s a TRUE story from YOURS TRULY! For the purpose of my own research, I bought four Ultrafire batteries online that had a “stated” capacity of 6800mAh! Obviously I KNEW that was a complete fabrication…but I wanted to know by how much. I gave them a couple of charge/discharge cycles on my digital charger. Here’s what I found. As the photo shows, each of the four batteries had a final capacity average of less than 600mAh!! So did the manufacturer goof on the label? You decide. THESE are the REAL capacities!! I’ll tell you what it is. Even though these “bargain” batteries may appear to operate the device without a problem, they won’t hold a charge very long. So, if you use them regularly, or in a device that draws high amperage, you’ll be charging them MORE and USING them LESS! Coupled with that, is also the real possibility that these batteries are old, and/or recycled equipment. Why else would their total mAh be so low? THIS IS WHY THEY ARE SO CHEAP!! You’re literally buying something that’s already had most of the life drained out of it… and while you “think” you’re paying very little for something that should cost a lot more… what you’re getting isn’t even worth the dirt cheap price you PAID for it! Think of it this way; if a friend was throwing out their five year old laptop and offered you the batteries inside of it to use in your new LED flashlight…for $10, would you go for it? Sucker!!! — if you do. The other thing about these batteries is that they are also potentially dangerous. There have been many instances where the charging process has induced smoke… which of course COULD lead to fire! This could also have been the fault of the charger as well. But the similarity is that BOTH products had questionable histories, and were CHEAP! Be leery of the claims. But there’s also another wrinkle. 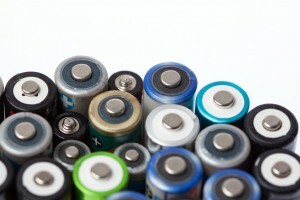 Not ALL of these bad batteries have inflated capacity claims! Many are labeled within the current range of the technology. You’ll see those that say 3000mAh as well. Now if that were a “reputable” brand it would be correct. But these AREN’T reputable. So even those that say 3000, might be 1000mAh or less. So in the end, it’s all about price. 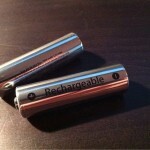 In the case of an 18650, if the price for ONE battery is at least $15… you’re on the right track. 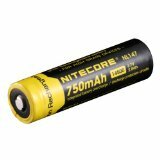 Sometimes, a trustworthy lower capacity (2200mAh) 18650 can be bought for around $9. THAT is a safe buy. 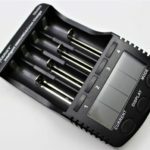 When all is said and done, buying TWO reputable 18650 batteries of at least 3400mAh each and a safe, name-brand 2-slot charger, will cost you around $50. Meanwhile, if $15 can get you two batteries (whether they be 18650 or 14500) AND a generic 2-slot charger…RUN the other way! As an example of some really excellent batteries, click this link. 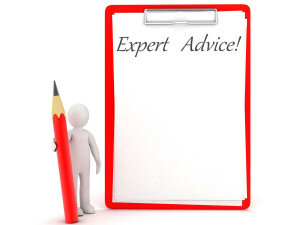 Purchasing anything on the page will ensure long-lasting quality and safety! I’d love to field any questions or comments you might have regarding fake lithium battery capacities. Thanks! I’m so glad the information was useful. My job here is to make people aware of it, and having it make sense at the same time. Really nice site you have! Lots of good info. here. I like how you point out how the Chinese can put anything on their labeling just to sell their products. You just can’t trust their business practices! Thanks for the comment Julie. As with everything there’s good and bad. In the case of these types of consumer products, there’s really GOOD stuff that comes out of China. But unfortunately you need more than a visual comparison to tell the difference between the good and the bad. What charger are you using that shows the real capacities? 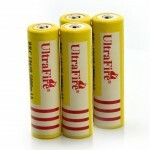 I purchased 16 ultrafire 6800mah 18650 batteries on ebay and few months ago. I charged them up and inserted 4 in my smok alien gx350 mod and they lasted about 30 minutes and I wasn’t able to get any vaping to come out. I swapped out and put 4 more in and they wouldn’t even start mod. Stating they were dead. I should have done research before buying. Will not longer buy ultrafire again or any kind of battery that states it has over 3000mah power. Be very leary of sellers on ebay. Thanks for sharing your experience Bubba! Today, 3600mAh is the LIMIT for 18650 cells. But not ONLY do you need to be weary of claimed capacity, you need to be VERY careful of which brands you buy! Fake batteries come under several different brands… but the “name brands” are the only ones you can trust!!!! Thank you for your article very much. Glad I research before I buy things of which I know virtually nothing! I do have a question though, as I know very little about batteries. The battery that came with my flashlight has 18360 3.7v 1800mAh on it. Can I use a different voltage, such as the 3.6v and can I use a different mAh? I didn’t find a 3.7v with charger until I saw the Outlight brand but it was 3600mAh. Hi Donna! I need to clarify please. Where you say “18360” is not correct. Do you mean 18350 or 18650? Next, is the other part of your question. Yes; 3.6v & 3.7v are basically the same and are interchangeable. And yes, IF the battery you’re referring to is an 18650 then you can go as high as 3600, PROVIDED that it’s a trustworthy brand. I do not trust ANY battery, REGARDLESS of the “mAh” on the label, if it comes with a generic (Outlite) flashlight. 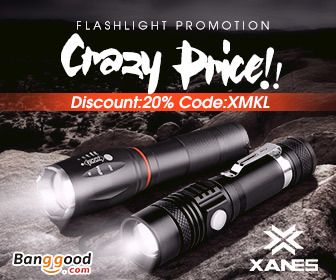 Is Olight the best brand that you suggest? I’m not getting a flashlight. Just battery and charger. 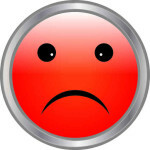 Thank you again, so very much for catching my error!!! I always advise to steer clear of those cheap kits… re; the $15.99 set you saw, which probably featured 2 batteries. I don’t think I have EVER ONCE from Ebay received a “new” battery with anything close to the described capacity. For example those fancy gold label batteries ( i.e. “Business Battery” brand) that are actual capacity a third indicated on the label, peel off the label and underneath you see it’s a standard battery. Vast majority of buyers don’t even know or care what a mA /hr is, all they are interested in is the percentage % charge displayed on the screen. Doesn’t matter if it’s counterfeit, or substandard battery. All Ebay are interested in is making as many sales as possible and then distance themselves as far as possible if sales are found to be illegal. You try find history of fake capacity memory SD cards sold on Ebay, you won’t find any, they surgically remove the transactions. When buying on the internet, whether it’s eBay, Amazon, or just merchant websites in general, the phrase “caveat emptor” (let the buyer beware) should always apply. As far as your previous experience goes, I’m not familiar with gold label “business batteries”. What I DO know though, is most any “brand” battery has accurate label information.